One of the finest homes you will find in this price range and area. 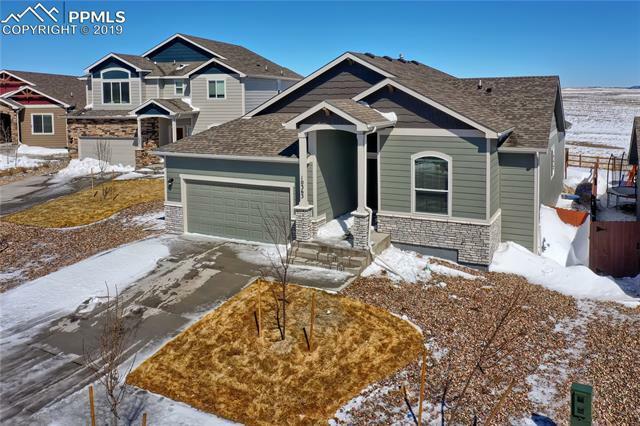 Situated on a cul-de-sac and backed to a green belt; upgraded with the finest cabinets, counter tops, wood floors, huge Trex wood deck, best of everything; the pictures speak for themselves. Delightful neighborhood with easy/close jump to Peterson AFB, Schriever AFB, the Air Force Academy; easy access to Powers corridor and I-25. 2 professionally installed, raised beds for gardening/vegetables!